Digital marketing and social media has had a significant impact on the way companies engage with potential customers when selling their products and services. Companies are now able to connect with their target audience in a way that makes people feel engaged in order to help them make purchasing decisions. Whether you have a role in marketing or not, you will be able to apply these best practice ideas. This will help you improve the engagement with your target audience in order to achieve a higher return from your marketing campaigns. Digital Marketing for Business Growth is an invaluable compendium of best practice ideas that can be implemented to improve commercial engagement with a target audience in order to achieve a higher return from any marketing campaign. Exceptionally well written, organized, and presented, "Digital Marketing for Business Growth" is an ideal introduction to digital marketing and very highly recommended for corporate, community, and academic library Business Management collections in general, and Digital Marketing supplemental studies reading lists in particular. 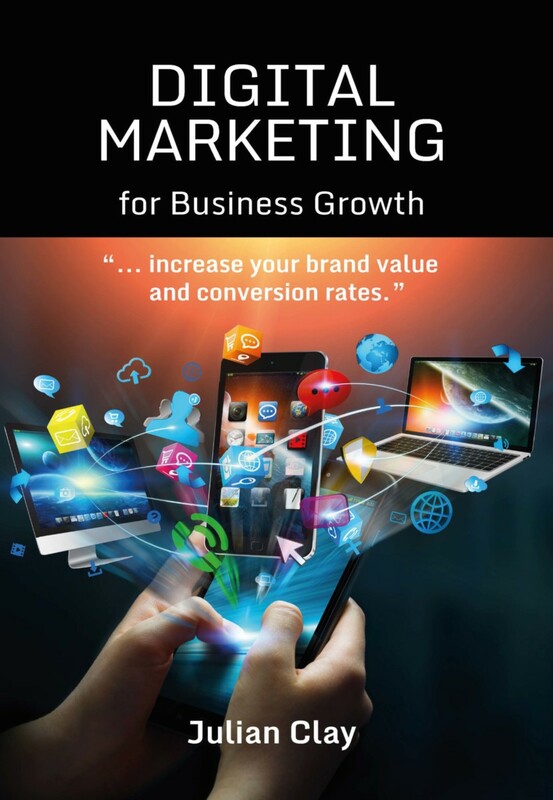 "I was keen to contribute to a book which helps to demystify the digital marketing process. It gives advice on how to get the best out of campaigns and the types of tools you can use track results. This will help to attract and retain customers by offering real value. It also predicts future trends which will change the landscape of this progressive and exciting market." "This book will help you get a better ROI from your digital marketing campaigns in order to increase your brand value and conversion rates." Julian Clay has a BSc (Hons) degree in Psychology and Business Studies. He was a top sales performer in Kodak’s Office Imaging division and progressed to become part of its senior management team. He is the author of Successful Selling Solutions, as well as the co-author of The Sales Manager’s Desktop Guide, Sales Strategy for Business Growth and The Mobile Boardroom (Thorogood Publishing).